Well maintained condo unit. Location is only steps from hospital and down town, City bus stop shelter in front. Key entry building with security camera. In house laundry facilities and mail boxes. This unit is located on 3 steps down from main door and on same floor as mail box, storage facilities and laundry. 4 pc bathrm with ceramic floors. Laminate throughout. Non smoking unit and pet free by present owner. Kitchen offers loads of cabinets and plenty of storage. Fridge and stove remain with unit. 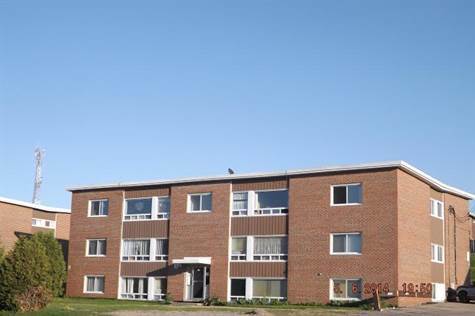 $356.00 condo fee and includes the heating, hot water, city water and sewer, parking, visitor parking and storage unit. Call today before its gone.